Being an oily skin person BB creams, skin tints on tinited moisturisers are not my cup of tea. I wanted to try atleast one tinted moisturiser or BB cream that suits my oily skin without being too heavy or greasy yet give flawless finish. The perfect way to enhance your skin. Our rich and creamy, yet lightweight formula leaves all skin types looking naturally dewy, even and radiant. With mineral UV protection SPF15, it's enriched with out own blend of natural source of vitamin E, borage and avacado, specially selected to work in harmony with out skincare range. 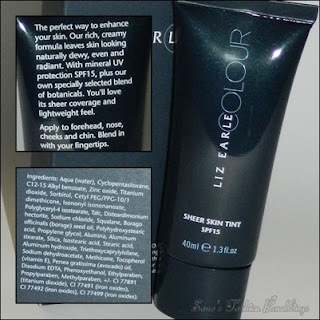 Liz Earle is definitely not an unknown name. And when it comes to Liz Earle it means I am really not going to get diappointed by their products cause whenever I try anything or product from them whether its from skincare or bath or their new color range nothing disappoints me. Sheer Skin Tint was one of them. I received it few months back and I was not sure whether I'm going to use it and this is going to get its place somewhere in corner of my vanity but as soon as I used it I fell in love and I was pleasently surprised with the result. Although it's a skin tint but as soon I applied it on my face it instantly even out my skin, covers redness and gives a nice glow without being so heavy or cakey and also conceals minor spots or blemishes. But if we talk about major discoloration or big dark scars for that you definitely need sperate concealer. It has mild scent of Avacado and Borage oil but it didn't bother me at all. My t-zone get slight shine after 2 hours if I am not wearing primer underneath but that also happens if I am wearing foundation without primer so no complains on that. If I talk about it's wear time its pretty decently there for me about 4 hours with primer. The shade Beach3 seems like a perfect shade for me before that I got scared when I swatched it on my hand and it appeared darker for my NC40 skin tone but when I apply it on my face it was a perfect match for me. 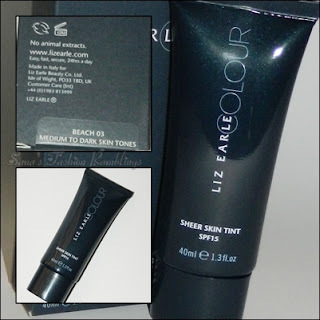 As Beach3 is medium to dark shade that works well for sun-tanned, oilve tones and most of the asian skin tones. 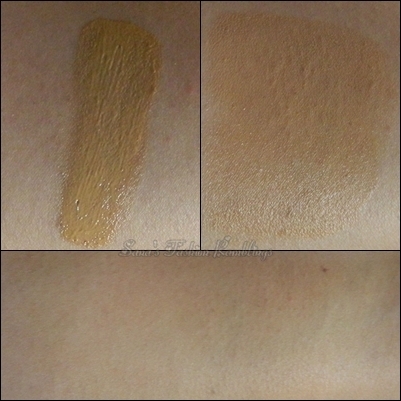 It does has natural olive undertones without being so prominent also it has builtin oils so it sets to a dewy finish. The consistency is thick and creamy without being greasy. If talks about its multitasking property, it has SPF15. It can somehow protect you from those evil UVA/UVB lights but I strongly recommend wear your regular sun-screen or sun-block underneath. And the amazing part is it doesn't break me out at all. However, I do need to get a little bit tricky to make it work for my oily, acne prone skin. I applied my regular oil control moisturiser before applying it and let it set for about good 5-6 minutes and after moisturiser application I applied my Skin Tint and dusted my mattifying powder to get it set, if I don't do that everything will slip away from my face within two hours. 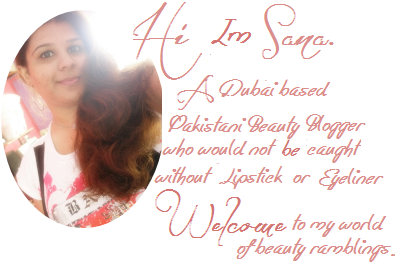 With that it gives me perfect flawless nice coverage and smooth even-looking skin. Well in my opinion this skin tint would suit all skin types. You have to take it if you are looking for natural looking sheer/light/medium coverage along with even-toned smooth skin for everyday use. Liz Earle Sheer Skin Tint SPF15 costs 21£ and can be purchased from Liz Earle official website Here . What do you think about it? Anyone of you tried it yet? 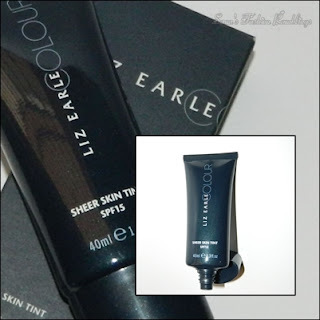 14 comments on "Liz Earle Sheer Skin Tint SPF15 [Review & Swatches]"
This sounds like quite a nice, natural looking product! Nice review. I have never heard of this product before but it sounds great! Thanks for sharing.